A strong field had gathered for the 12th edition of the KALAS Cup, now a classic in the South West calendar. 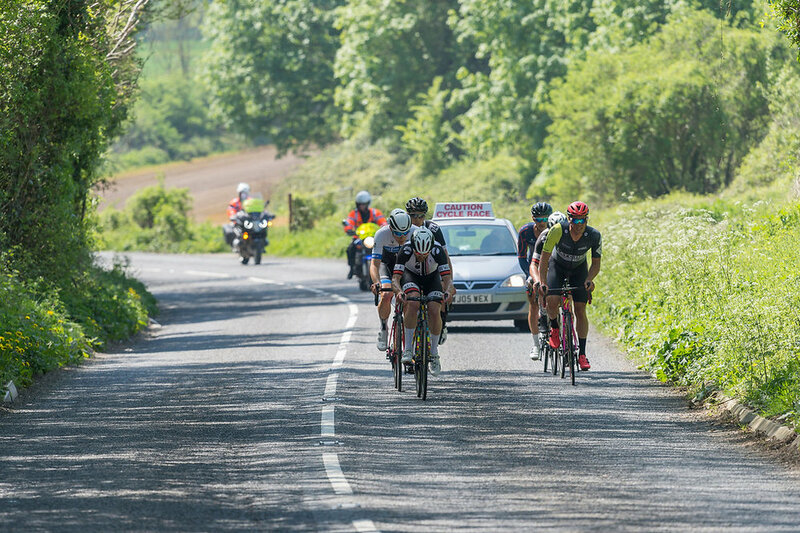 The earlier May date had not deterred the riders with a good mixture from across the country and the usual local suspects, all set to battle over the roads around Somerton, Somerset. The stage race now settled into a one-day format, starts with a short time trial in the morning, completed on equipment suitable for a road race followed by in the afternoon a 130km challenging road race. 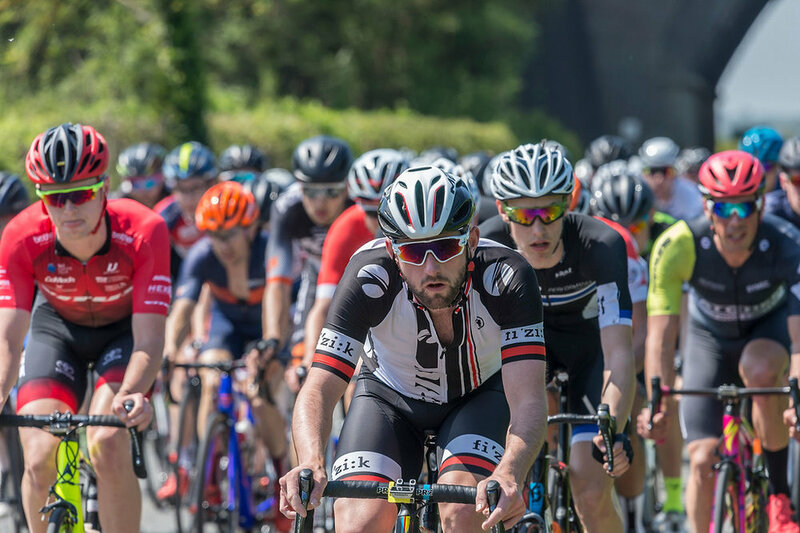 Stage 2, the road race, rolled out of Overt Locke’s yard on 1pm on the dot and headed through the picturesque town of Somerton towards the 15km circuit which they would complete 8 times. After a pacey start the bunch was altogether as they came through the finish area for the first time. Showing no signs of slowing in the warm, calm conditions, and the first prime could have been the race for the chequered flag as the bunch sprinted at full bore towards the line. 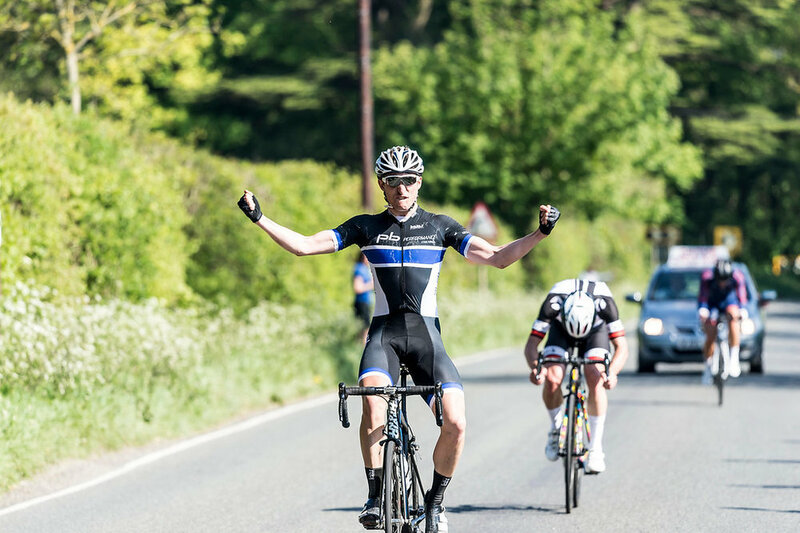 Red Walters (Sotonia CC) took prime and the valuable time bonuses with a massive 1300-watt effort from the 2015 and 2016 KALAS Cup winner Tristan Robbins (Team PB Performance coaching) and the yellow jersey holder Fredrick Scheske. The third lap saw several riders escape the main peloton, they soon built up a good lead of 35 seconds by the end of the lap. All working well together the breakaway of Lee Frost and his brother Sean Frost (Tri Uk), Alex Richardson (Unattached) Michael Ford (Latchem Sunwise RT), Jack Stanton-Warren (Wheelbase Castelli MGB), and policed Tor’s Josh Croxton, was not inconceivable it was the race winning move. At the end of the forth lap was the second prime of the day and the six were still clear. Josh Croxton tried to steal the time bonuses away from the second placed over all rider Lee Frost, however Lee showed his class to take the 30 secs and making him the virtual leader on the road. Jack Stanton-Warren mopped the third place moving him up the rankings. As soon as the six had passed the finish line the peloton were in site, and gap had been reduced to a mere eight seconds, it was just a matter time before they would be caught. It was all change on the fifth lap as a lone rider Hayden Allen had gone clear forging nearly a minute gap on the main peloton with six riders in no-man’s land. The THRE Datawolves RT rider kept the lead over the next lap and earning himself the fourth and final prime. Matt Downie (Taap Cervelo) and the white jersey Tom Nancarrow rolling across the line trying to bridge to the solo leader took the other bonuses. With the bunch on a mission it was soon all back together on penultimate lap. The race was determined it was not going to be a bunch sprint, Lee Frost and Alex Richardson where once again on the attack with Tristan Robbins attempting to bridge to the leaders. The three crossed the line together as the crowds gathered and the bell rang indicating the last lap. This was super strong break and as they worked well together they would be difficult to pull back. Though the peloton was not letting them go without a fight, as it lined out with riders being spat out the back, it was taking no prisoners! The final lap saw riders peeling off the front of the main peloton but not getting near to the fast-moving trio, and there was no doubt the stage winner was going to be one of them. As they came into the sight of the finish line the sprint had already ignited was with Alex Richardson losing touch a hundred meters from the line. It was Tristan Robbins with his arms aloft as he had done twice before on this circuit, however is was Lee Frost who had done enough to take the 12th edition of the KALAS Cup overall. Tom Nancorrow held onto the White jersey taking the Walter Rixon Young rider award. A strong Team PB performance Coaching on both stages made sure they sealed the team victory.